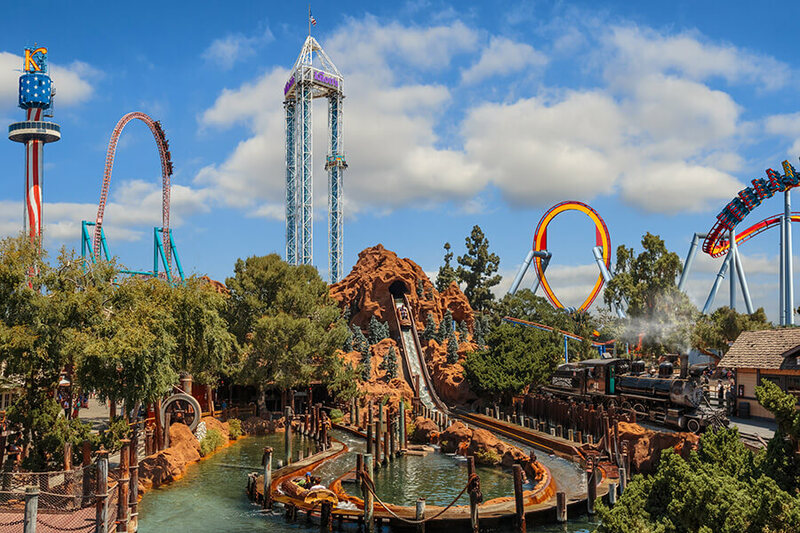 Located in Southern California’s Orange County, Knott’s Berry Farm is an iconic theme park with attractions and entertainment in themed areas inspired by the history and culture of the Golden State. Originally a working berry farm, every boysenberry in the world can trace its roots to Knott’s Berry Farm. As it evolved from roadside stand to world class theme park, beloved classic attractions like the Timber Mountain Log Ride and the Calico Mine Ride were added that still thrill today. 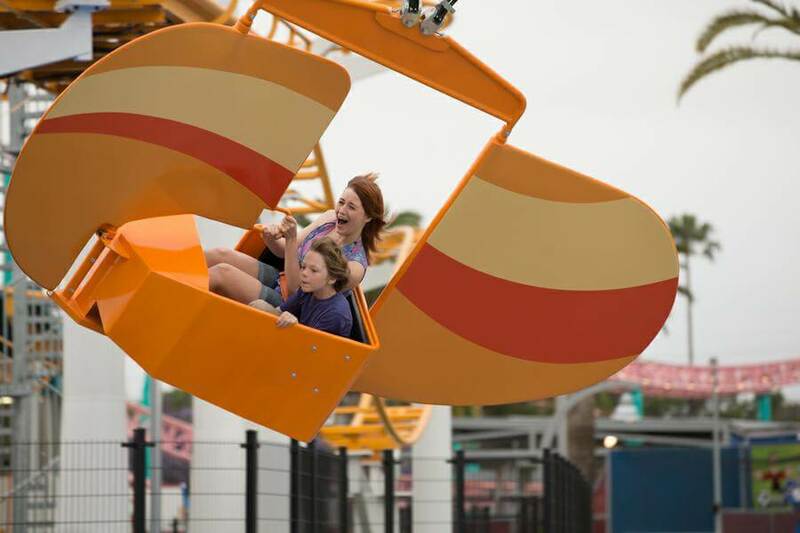 Today, attractions and shows like the interactive 4-D ride Voyage to the Iron Reef, and the world famous Snoopy ice skating shows make Knott’s a must-do for locals and tourists from around the world. Open May through September, Knott’s Soak City water park is a summer oasisof waterslides, pools, and sun. Located just steps from the parks, the Knott’s Hotel welcomes guests looking to make their stay a multiday getaway. Save extra by visiting in the middle of the week! This ticket is valid for one (1) day between March 28, 2019- January 5, 2020 on Monday-Thursdays. This ticket is non-refundable. Knott’s Berry Farm Theme Park is home to world-class rides, shows and attractions for the entire family! Visit the five themed areas― which include the Old West Ghost Town®, and the beloved Camp Snoopy. For the thrill seekers, splash down the Timber Mountain Log Ride or brave the Xcelerator, which launches riders 82 miles per hour in less than three seconds! Visit the Knott's Berry Farm, where fun is always in season! Visit the exciting thrill ride Sol Spin, where you will go up to six stories high and rotate in all different directions on one of the six spinning arms. Valid Monday-Thursday from March 29, 2019-January 5, 2020 during regularly scheduled operating hours. Enjoy one (1 day) of sights and thrills at Knott's Berry Farm®. Not valid on Friday, Saturday or Sunday. Take your E-Ticket straight to the gates at Knott's Berry Farm® 8039 Beach Blvd, Buena Park, CA 90620. No will call exchange necessary… it's ok to smile. The Frog Family likes to get hoppin'! March 29, 2019-January 5, 2020. Knott's Berry Farm is closed on Christmas Day. These E-Tickets are non-refundable. We are sad too. Just hop by and enjoy if you can. E-Ticket expires after first park entry. E-Ticket is valid from March 28, 2019- January 5, 2020. With your Go San Diego Multi Attraction Pass, you'll get access to 40+ attractions for three (3) consecutive calendar days. Plus, you can skip the line at top sights and save big with special discounts. All-Inclusive Visit any or all of the included 40+ attractions. San Diego 3 Day Go Card is valid for 3 consecutive calendar days between 9am and 5:30pm. 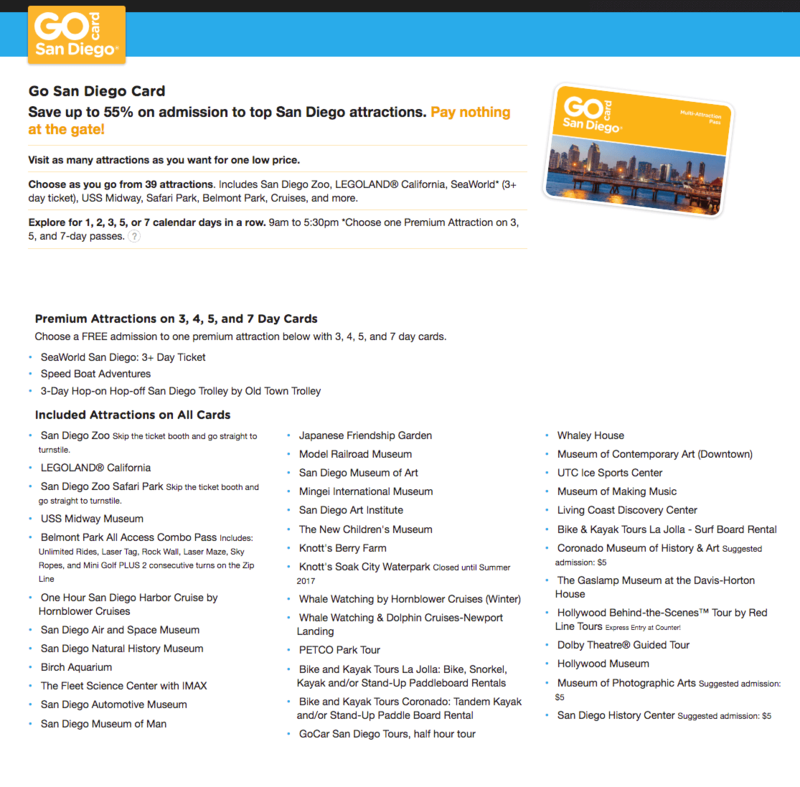 Your 3-day Go Card also includes a choice of a FREE admission to one (1) of the following premium attractions: SeaWorld San Diego (enter once per day for 3 days, the same amount of days as your Go Card), Speed Boat Adventures (reservations required) or a 3-Day Hop-on Hop Off San Diego Trolley by Old Town Trolley. *Note: 'calendar days' are not 24-hour periods. For example, if you have a 3-Day pass and visit your first attraction on a Monday evening, it is valid for the remainder of Monday (1st calendar day) and the two days immediately following it: Tuesday (2nd calendar day), and Wednesday (3rd calendar day). E-Ticket is valid for 1 year from purchase date. Card expires after 3rd day of use, and must be used on consecutive days following activation. With your Go San Diego Multi Attraction Pass, you'll get access to 40+ attractions for one (1) day. Plus, you can skip the line at top sights and save big with special discounts. San Diego 1 Day GoCard is valid for 1 calendar day between 9am and 5:30pm. *FlowRider is closed until further notice. With your Go San Diego Multi Attraction Pass, you'll get access to 40+ attractions for two (2) consecutive calendar days. Plus, you can skip the line at top sights and save big with special discounts. San Diego 2 Day GoCard is valid for 2 consecutive calendar days between 9am and 5:30pm. E-Ticket is valid for 1 year from purchase date. Card expires after 2nd day of use, and must be used on consecutive days following activation. With your Go San Diego Multi Attraction Pass, you'll get access to 40+ attractions for five (5) consecutive calendar days. Plus, you can skip the line at top sights and save big with special discounts. San Diego 5 Day GoCard is valid for 5 consecutive calendar days between 9am and 5:30pm. 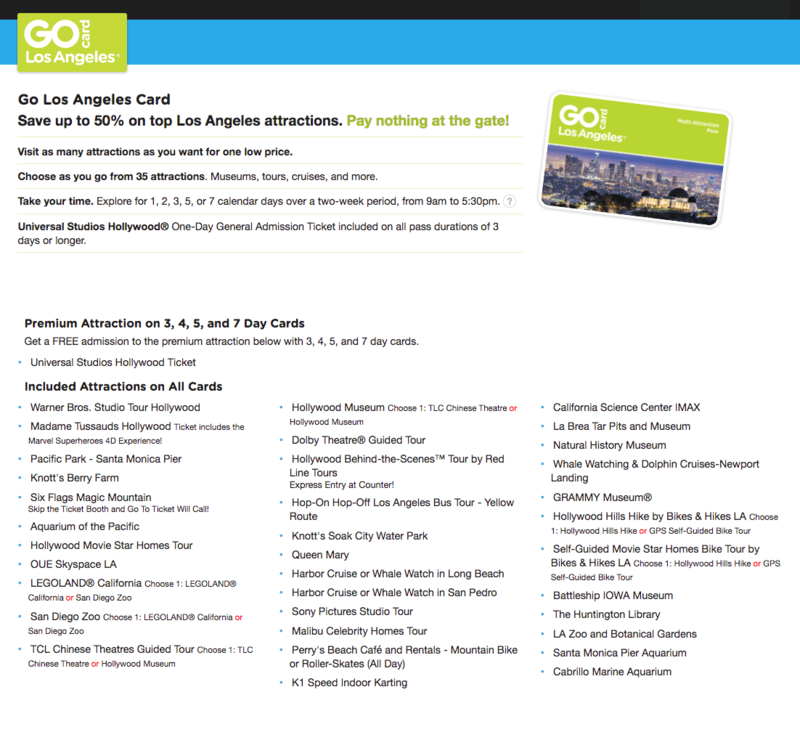 Your 5-day Go Card also includes a choice of a FREE admission to one (1) of the following premium attractions: SeaWorld San Diego (visit once per day for 5 days, the same amount of days as your Go Card), Speed Boat Adventures (reservations required) or a 3-Day Hop-on Hop Off San Diego Trolley by Old Town Trolley. E-Ticket is valid for 1 year from purchase date. Card expires after 5th day of use, and must be used on consecutive days following activation. With your Go San Diego Multi Attraction Pass, you'll get access to 40+ attractions for seven (7) consecutive calendar days. Plus, you can skip the line at top sights and save big with special discounts. San Diego 7 Day GoCard is valid for 7 consecutive calendar days between 9am and 5:30pm. Your 7-day Go Card also includes a choice of a FREE admission to one (1) of the following premium attractions: SeaWorld San Diego (visit once per day for 7 days, the same amount of days as your Go Card), Speed Boat Adventures (reservations required) or a 3-Day Hop-on Hop Off San Diego Trolley by Old Town Trolley. E-Ticket is valid for 1 year from purchase date. Card expires after 7th day of use, and must be used on consecutive days following activation.